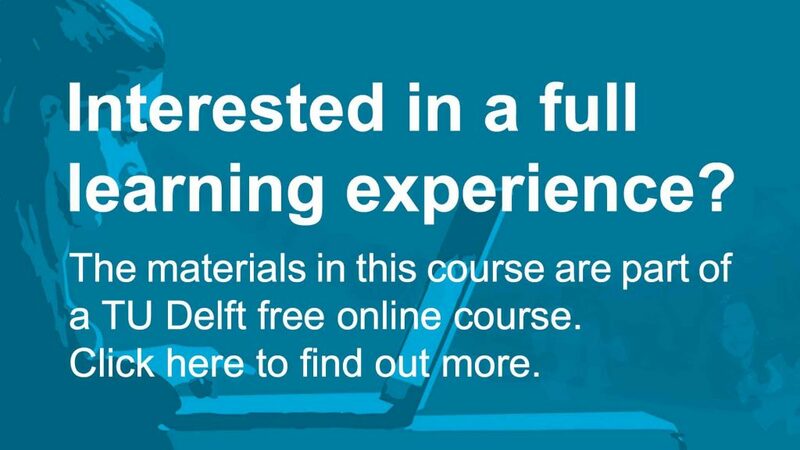 This course has been designed by TU Delft’s international experts on Project Complexity, and is based on more than 60 years of practical experience as well as relevant research in the field. “We see projects still fail and there is a need to do things differently. That’s what this course is about: delivering the best practices for project execution based on our state-of-the-art research.” – Professor Hans Bakker. Project Management: mastering complexity by TU Delft OpenCourseWare is licensed under a Creative Commons Attribution-NonCommercial-ShareAlike 4.0 International License. Based on a work at https://ocw.tudelft.nl/courses/project-management-mastering-complexity/.